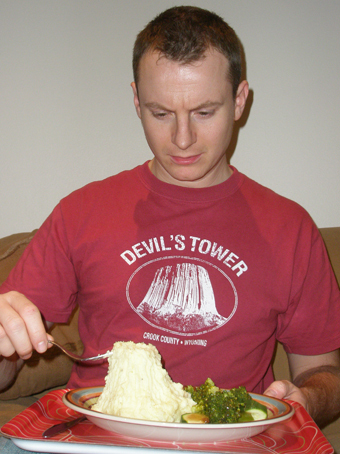 Daniel Brent wearing a Last Exit to Nowhere Devil’s Tower T-shirt, faithfully recreates the scene from Close Encounters of the Third Kind where Richard Dreyfuss seemingly loses the plot. Daniel wins a free T-shirt for winning our best picture of April competition. We spotted Krishen Pattni out and about wearing one of our Winchester T-shirts. 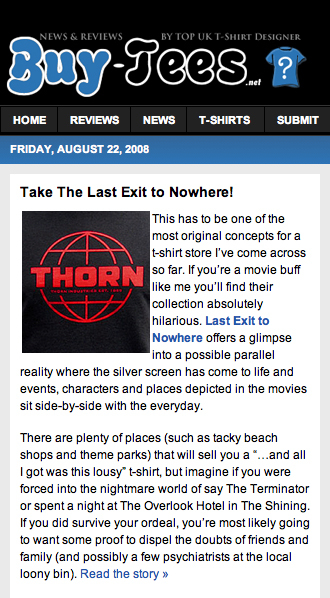 If we spot you wearing a Last Exit to Nowhere T-shirt we’ll offer you, as we did Krishen a free T-shirt of your choice. Click on the image to buy a Winchester T-shirt for yourself. All submissions for the best picture were great this month, so thanks very much to all involved. This month’s winner is Neil Alcock from BBC Political Programmes. 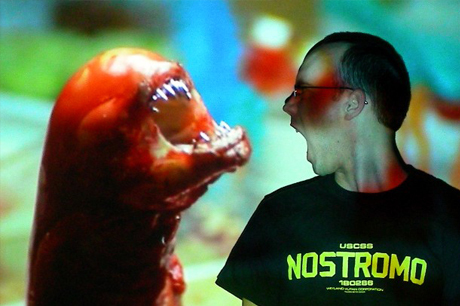 Neil gets creative with his Nostromo T-shirt (Alien). Click on the picture to buy one for yourself. Film Review - The Movie Bible since 1950! “We see an awful lot of movie merchandise here at Film Review towers and, to be honest, there’s usually not much to get excited about. But, when we saw the new range of T-shirts from UK company Last Exit to Nowhere, we certainly had our heads turned. With designs inspired by everything from Alien to Back to the Future, the guys have taken logos, designs and background information from your favourite movies and turned them into subtle and stylish T-shirts. From the more obvious, like the Amity Island T-shirt referencing the location of Jaws (below left), to the more cryptic, such as the Winchester Tavern design (above right) inspired by Shaun of the Dead, Last Exit to Nowhere has something for every movie fan”. 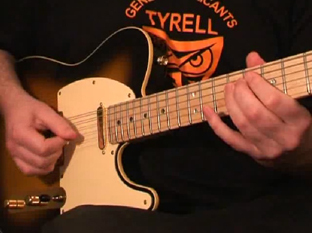 This month’s winner is Charlie Griffiths, guitar instructor for Total Guitar magazine. Charlie wears a Tyrell T-shirt (Bladerunner) for the magazine’s free tutorial DVD. Click on the picture to buy one for yourself.